230 of our new closest friends have participated in the Racial Equity Institute’s Groundwater Training and Racial Equity Workshop: Phase I. 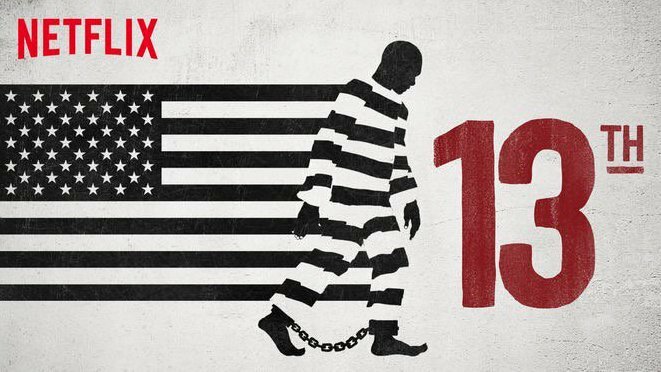 We also hosted two film screenings and discussions, including Ava DuVernay’s documentary, 13th (2016), which explores the sobering effects of America’s prison industrial complex. Thank you to everyone who participated, for your engagement, and your willingness to dig deeper with us. Special thanks to the staff at Bridgeport Café for catering the event! We are proud to announce that the George Gund Foundation and the Fund for Our Economic Future have signed on as Champion-level sponsors of the Year of Awareness Building! Cleveland State University hosted the March Groundwater Training (3/6) on their campus. More than 60 CSU faculty, leadership, and community partners attended the half-day training. On Friday, March 24th, Cleveland Neighborhood Progress will be offering a Cost of Poverty Experience (COPE) poverty simulation, in partnership with Think Tank and CareSource. The COPE is an experiential training and awareness tool that gives participants a chance to see for themselves the difficulties that low-income Americans face daily. It is a look into the obstacles that are faced, the decisions that are made, and the consequences that impact these families every day. This free simulation will fill up fast, register today to secure your spot. For more information on the COPE, please contact Nina Holzer at nholzer@clevelandnp.org. Cleveland Neighborhood Progress will be a community partner for the upcoming City Club of Cleveland Law Day 2017: The Fourteenth Amendment On May 5th, the City Club will feature a conversation with James Forman, Jr.,Professor of Law at Yale Law School, and author of Locking Up Our Own: Crime and Punishment in Black America, on how and why our society became so punitive and what we can do about the future of race and the criminal justice system in the United States. Use promo code CNP17 with registration for 20% off non-member tickets. Description: A powerful true story about the potential for mercy to redeem us, and a clarion call to fix our broken system of justice – from one of the most brilliant and influential lawyers of our time (Publisher’s Summary). Description: Through large-scale demolition and clearance, American urban renewal waged a war on perceived waste—and created a new tide of it. On February 23rd, Dr. Glaude (the William S. Tod Professor of Religion and African American Studies, and Chair of the Center for African American Studies at Princeton University) discussed his latest book, Democracy in Black: How Race Still Enslaves the American Soul and provided valuable insight into what he calls the Value Gap, the “belief that white people matter more than others,” and how this mindset is entrenched within American values, practices, and systems. Description: Jackelyn Hwang discusses gentrification in America – how race and class impact who moves where and when. How can decision-makers encourage investment that protects long-time residents? Hwang is a Postdoctoral Research Fellow at Princeton University.